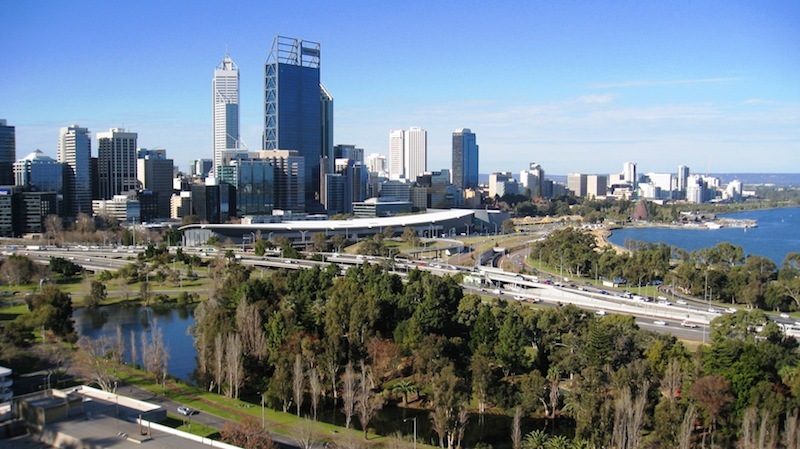 Perth, Western Australia’s beautiful capital, is one of the most isolated town in the world. The neighbouring Adelaide lies at no less than 2104 kilometres from it. Funny thing is, Perth is closer to Dili (2785 kilometres) and Jakarta (3002) than to the Australian Sydney (3291), Brisbane (3604) or Canberra (3106). 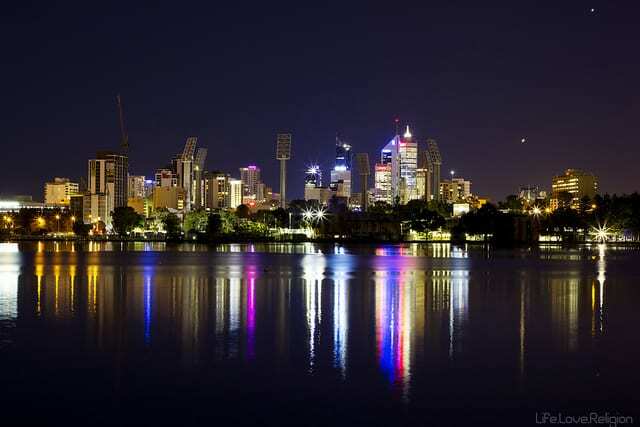 Perth’s urban population is wider than all the inhabitants of West, North and South Australia – excluding Adelaide. 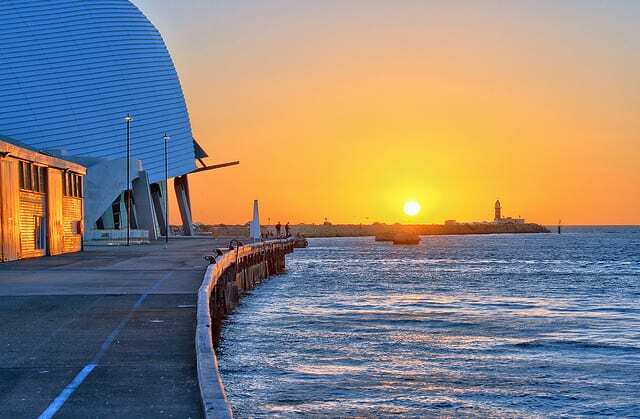 The travellers who reach this town will experience an unusual feeling of conquest, so more since if one gazes westwards there is nothing else but water for over 8000 kilometres, until the African coast. Perth is gifted with a wonderful weather all year long: hot and dry in summer (the average temperature hovers around 30 centigrade degrees), temperate in winter (around 18 degrees). This town also prides itself for being the sunniest state capital in Australia and the light here truly is as pure as nowhere else in the world. Since this was the remarkable situation welcoming us on our arrival, we started exploring Perth early in the morning. The local public transport is excellent: the railway connects the city centre to the small hamlets surrounding Perth, from Midland to Fremantle, from Mandurah to Armadale. And downtown all buses are free. We began our day with a healthy breakfast at Jean Pierre Sancho, a popular French pastry shop commonly referred to as the best one in Australia. After feeding up, we moved towards the eastern part of town. Along Saint Georges Terrace flows a long line of modern buildings and 9th century-façades. At the end of the road London Court rises unexpected: built in 1937 as a mix of residential and commercial buildings, this alley was designed implementing the Elizabeth Era architectural details and now casts an unusual shine of Tudor atmosphere so far from England. We crossed the Supreme Court’s gardens and arrived at Swan’s riverbanks. Here rises the Bell Tower, commonly known as Swan Bells, whose bells date back to 14th century. Then we went on along the river towards Heirisson Island. If you are lucky enough, on this route you might even spot some dolphins swimming just by the riverbanks. 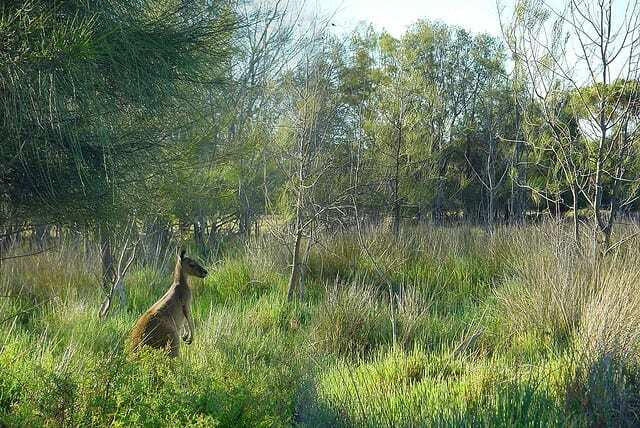 Heirisson Island lies in the middle of the Swan river and its only inhabitants are kangaroos. But do not expect a jungle packed with wild animals: the island is small and its inhabitants are few – and be aware that feeding them is forbidden. After a quick look at the kangaroos we caught a bus to Kings Park and the Botanic Garden. Together they crown a hilltop in the western part of Perth. In 1872 they formed the first public park in Australia and today it still is the largest town park in the world. Here you will find an amusement park for kids, a botanic garden, a memorial, a sanctuary, long paths and viewpoints. 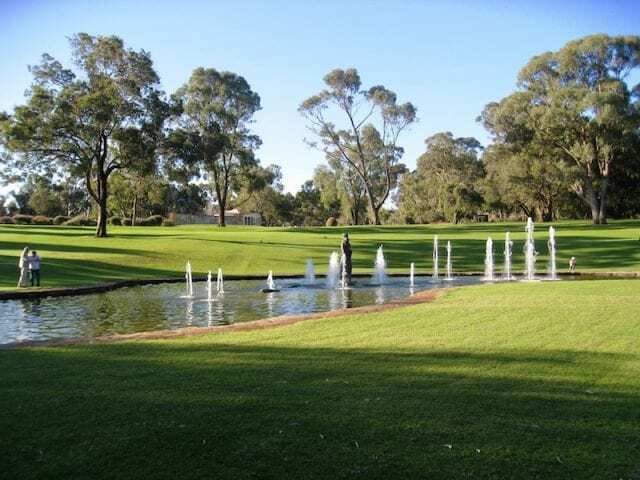 The park lies over a cliff overlooking the town, the Swan and Darling Range, therefore offering one of Perth’s most stunning sights. But you can’t say you travelled to Perth if you haven’t been to Fremantle and Cottesloe. Both of them are on the coastline and can be easily reached by train. 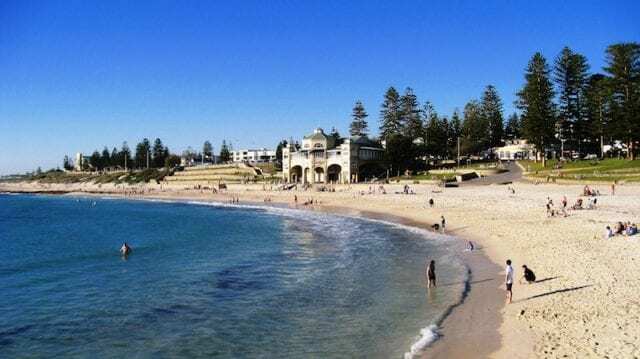 In Cottesloe we found a beautiful beach, one of the most popular in the Perth Area, while Fremantle was the first town in Australia to host settlers in 1829. It became a harbour on the Swan and has been Australia’s most important town for quite a while. First thing to do in Freo – as they call it here – is to hit the marketplace. Established in 1897, the local market is hosted in a Victorian building and includes over 150 stands selling handcrafts, meat, fish and vegetables. Also street artists often perform here and the place became through time one of the most popular tourist highlight in town. When lunchtime came we enjoyed a wonderful Italian meal in the socalled ‘Cappuccino Strip‘. Then we arrived at the coastline, where a large number of seafood restaurants and fish&chips are to be found. Here we took some time to stare at the monuments dedicated to famed fishermen and sailors, many of them Italian. Perth might not be the most popular tourist destination, still it charmed us with its character and its many sights. Milan wasn't big enough, so to satisfy my wonderlust I started to look for new horizons. 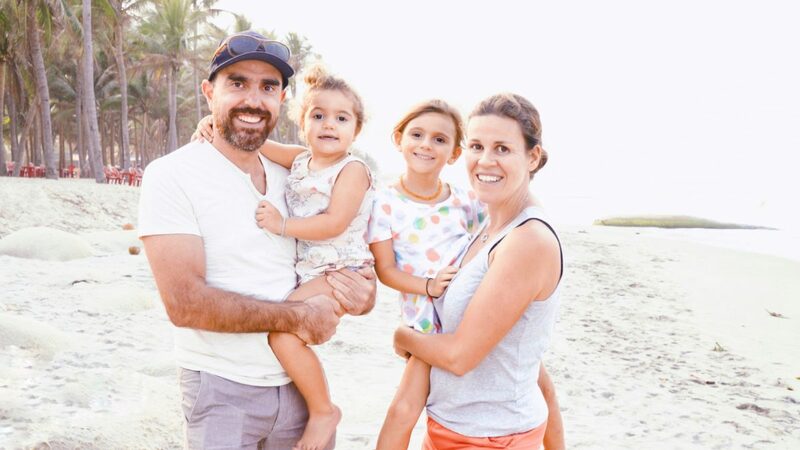 After one year in the USA and six months in France, I moved to Australia for both love and career. I left my town with a one way ticket and a lot of hope.